We love activities ! Do you? 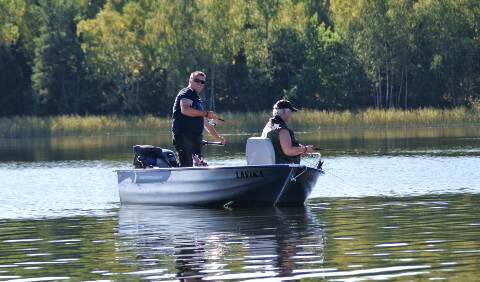 Lake Åsnen is one of the most beautiful fishing lakes in Sweden with a rich supply of pike, zander, perch, eel and some 20 species of whitefish – a true El Dorado for fishing enthusiasts! Record catches have been pulled out of the waters of Getnö. Every year, we organise fishing competitions. Besides Getnö’s own fishing waters, covering almost 1,000 hectares, you can fish all over Lake Åsnen, which is 155 km² in size. Getnö Gård’s fishing guides know these waters like the backs of their hands and can point out the best fishing spots. Try your luck from one of our special Fishing Cayaks, for instance! 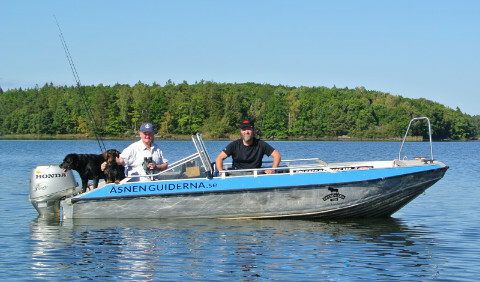 We arrange different fishingtours with Guide; Pike-safaris und Night fishing for Zander. We have 20 touring bikes with tyres that are especially suitable for the beautiful forest roads around these parts. 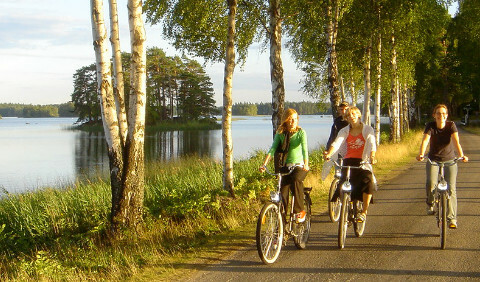 There are also signposted cycle trails such as "The Åsnen Tour" and "The Banvall Trail". There are also signposted cycle trails such as "Åsnen Runt", "Banvallsleden" and "Sydostleden". Getting close to nature, feeling the tranquillity, admiring the fauna and the birdlife – these are best done while gliding along in a canoe. 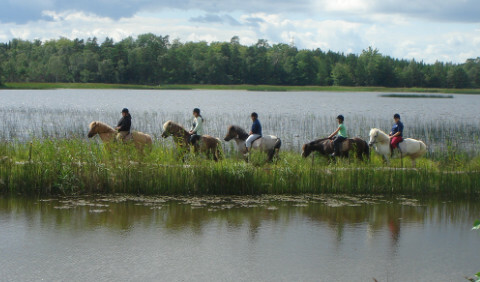 Experiencing nature from a canoe is a true El Dorado for Nature Lovers! 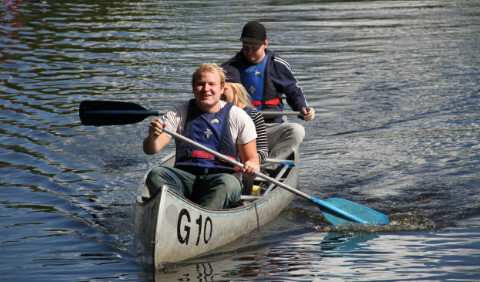 We have all the equipment you need and we can help you to plan your canoetour. 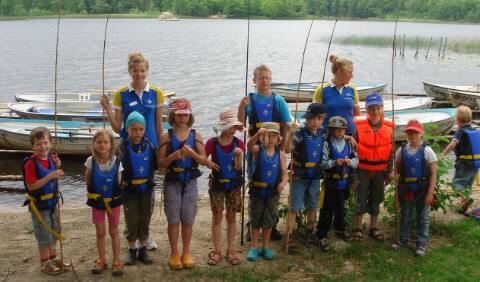 During the season, the children have their own programme with an nature school. Viking adventures for children plus games, competitions, shing and much more, specially designed to amuse the young. The fact that they also learn a good deal about nature is something that will give them positive knowledge throughout their lives! 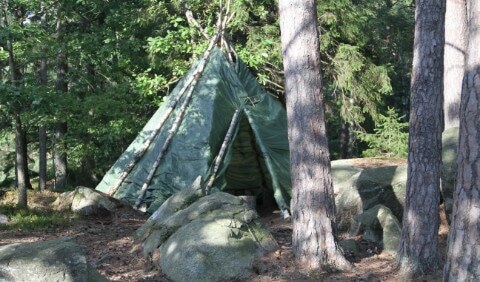 Discover many Geocaching points with some local stories. The fringed water lily is a foreign invasive water plant which can cover large areas of the water surface and outcompete native aquatic plants. This in turn causes altered habitats in the water which affects aquatic animals.